As business owners trying to navigate the ups and downs and ins and outs of the Internet, you have to realise that some things just cannot be ignored when it comes to online marketing. Google + happens to be one such thing. You see, if you’re looking to generate as much traffic to your website as possible, Google is going to provide a large portion of it. In fact, when it comes to search engines, Google owns about 70% to 80% of all search traffic. You might be thinking, “What does this have to do with Google +?” It’s a good question. In theory, the two really shouldn’t have anything to do with one another. One is a search engine and the other is a social media platform. How do they connect? Google wants everyone to use their social media platform. Those who do receive special treatment. One of the perks of being an active member of Google + is high search engine rankings. In this instance, we’ve noticed that Google definitely plays favorites. And why not? It’s their search engine. They can do whatever they want with it. 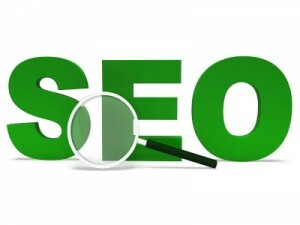 How Does Google + Fit in with SEO? From a search engine optimisation standpoint, it pays – literally and figuratively – to have an active Google + account. When you begin building a presence on the social media platform, you also receive special treatment in the Google search engine. This is particularly true for those that friend or follow you on the social media platform. As an example, let’s say you own a carpet cleaning business. You create a Google + account for your company, and have become friends with many customers and potential customers in your community. If you become an active member of Google +, your friends will see all of your posts on the social media platform if they are actively paying attention to their Google + newsfeed. This is great for you as a business owner. It helps get your message out in front of those who regularly use their Google + account. What about those who do not check their Google + account all that often? Let’s say you have a Google + friend in need of your services. They realize that they can benefit from a good, quality carpet cleaning throughout their home. Instead of going to their Google + account to look for you – because honestly they don’t remember even being your friend – they decide to use the Google search engine instead. By being your friend on the social media platform, you receive preferential treatment on their search results page. When they search for carpet cleaning services in your community through Google, your information will most likely pop up on the first page of the results. The odds are tremendously in your favor just because you befriended them on the social media account. Are you now beginning to see the value of the Google + platform and how it helps you in the regular search engine? It’s incredible to have multiple ways to reach your prospects and current customers. This is one fantastic way to do so as a business owner, and you might not have realized that it even exists. It exists and it’s helping companies make a tremendous amount of money without really having to do any extra work. Google + is great for search engine optimization. But that’s only one tiny piece of the puzzle. This social media platform can help improve your reach in a number of other ways as well. Think about Facebook and what it’s doing for businesses. Companies create fan pages and interact with their customers and potential prospects all the time. It’s a lucrative way to connect with your fan base. But Facebook is starting to get greedy. Now those companies posting on their fan pages do not have nearly as much reach as they once did. Instead of posting their messages to the entire community, Facebook decided to only send posts to a small percentage of the people liking a page. Instead, in order to reach your entire community, you have to pay a separate fee. I think it’s something like seven dollars per post at this point. If you were to do that every day of the month, it’s going to cost over $200 just to reach the community that you’ve already built. That’s a rip-off and you know it as well as I do. Business owners have the opportunity to use Google + the same way they’ve been using Facebook for all of these years. But there’s one great thing about Google + that you do not get with Facebook. When using the Google social media platform, your posts go out to every one of your contacts every time you post. You do not have to pay a separate or additional fee. You just send out the post and it reaches your Google + database. Everyone can see the information that you share. The Google + community is growing at a rapid pace. More and more users are joining the social network as we speak. I believe it’s even growing faster than Facebook, which is amazing because Facebook grew at an incredible pace. Before long, your entire community of potential prospects is going to have a Google + account. Google knows exactly what they are doing, and they know how to build gigantic communities and websites. It’s better to get involved now while things are just taking off. You’ll learn how to use the social media platform to your advantage, and by the time the rest of the world comes around, you’ll have already figured everything out. 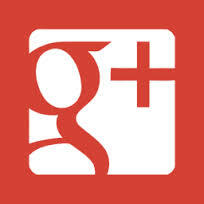 If you’d like help to take advantage of the powerful Google + platform, we’d love to assist you. Please call our office at your earliest convenience.